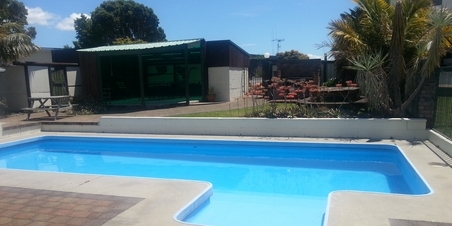 Cottage Park Thermal Motel is conveniently situated in Tauranga just off State Highway 29. We are centrally located, with just a 6-minute drive to the centre of town, to the cafés, restaurants and shopping. 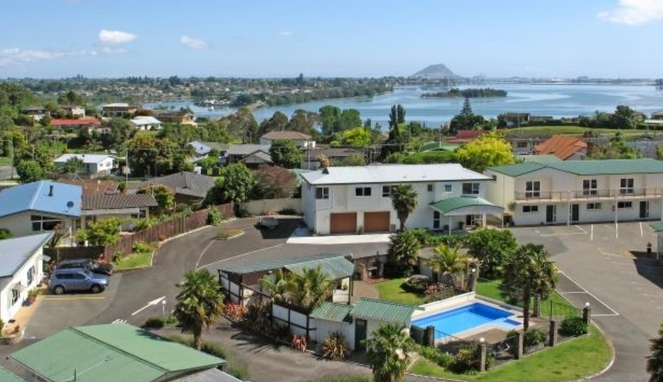 In 12 minutes you can be at New Zealand's most famous surf beach at Mount Maunganui. In 3 minutes you can be at our speedway track or attending a sporting, cultural or home show event at our new ASB Sports and Events Arena. All units have Double Glazed windows with underfloor heating and some have our popular Thermally Heated Private pools/spa! Relax by our outdoor pool while cooking your dinner on the barbeque. We are a Pet Friendly Motel. Surcharge applies to all Pets. For more information contact us before making a booking. One of our main features is our thermal water, which we use for underfloor heating of our rooms and to heat our outdoor swimming pool. It is also available for our private spas and pools.